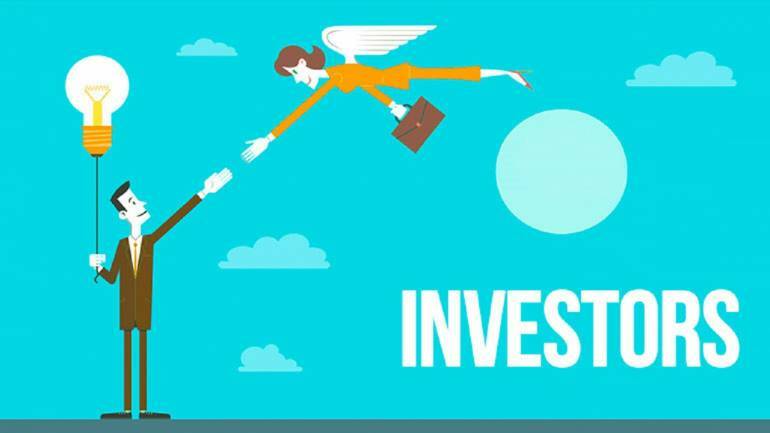 A basic tenet of long-term investing is to look for high quality listed businesses. This essentially implies 1) they earn returns above cost of capital (reflected by return on capital employed), and 2) generate strong free cash i.e. they don’t require a lot of capital (fixed assets and/or working capital) to grow revenues and profitability. Those retained earnings can then be utilised either to acquire other companies in same line of business or diversify. Alternatively, excess capital could be returned to shareholders via dividends or buyback. For instance, why is a business like Castrol listed? It generates annual revenues of Rs 4,000 crore. On a gross block of merely Rs 220 crore, (a staggering 18x asset turn) and enjoys a negative working capital, which helps it generate an RoCE of over 100%. Since it hardly needs any capital to grow, it pays out 75-100% of its profit every year as dividend. If I was promoter of such a business why would I divest even a single share? This is true for almost all the multi-national corporations operating in India – be it FMCG companies like Nestle and Colgate, host of high-tech capital goods and fast moving industrial goods or auto ancillaries like Schaeffler. We analyzed top 40 Indian-listed subsidiaries of MNCs and found that the average fixed asset turns is 6.3x, average return on capital employed is a whopping 36%, barring five, all are debt-free and net-cash companies while the average dividend payout is 35%. And this brings us back to the fundamental question, why are they listed? After all, stock market, primarily, is a medium for businesses to raise capital in order to fund their growth (or retire debt). Accordingly, majority of the listed businesses should be the ones which are capital intensive like infrastructure companies or ones which constantly need capital to grow, like banks or NBFCs. However, thankfully that’s not the case and the credit goes to socialist mindset of Indira Gandhi’s government during 1970s. They amended the Foreign Exchange Regulation Act (FERA) and capped foreign ownership in Indian companies to 40%. After emergency subsided in 1977, George Fernandes, Union Minister for Industries, under the leadership of then Prime Minister Morarji Desai, went ahead with strict enforcement of FERA.This forced some of the highest quality businesses to either get listed or exit from India. 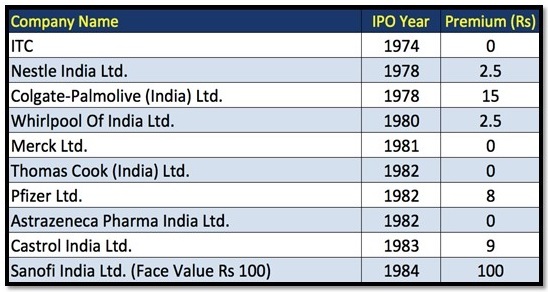 Since they didn’t need even a dime of capital, these IPOs were mostly offer-for-sale by global parent companies and the most lucrative part was that these issues came out at face value or slight premium to face value. Clearly, a lottery for Indian public market investors of that time. 1. There were over 850 MNCs operating in India at that time. Roughly 400 were unaffected by this new regulation as they already had Indian partners or they were exporting significant part of their production and bringing valuable foreign exchange to India. 2. From the remaining, about 100 were asked to leave India while rest were supposed to bring down ownership or voluntarily shut down Indian operations. 3. About 70 companies that found the terms unacceptable began to wind up operations in India and exited by 1980. This list included giants like Coca-Cola, IBM, Exxon Mobil and Kodak. This period was very challenging for entrepreneurs looking to start a new business in India. A firm would have to get the green flag from up to 80 agencies before it was granted a licence to produce in India. Further, each industry had a cap on licences, usually four or five for the whole nation, creating a monopolistic market. Businesses focused on procuring licences rather than on improving their services and products. This was a huge advantage for incumbents as they could continue to grow with no threat of new entrants. In this context, it must have been a very painful decision for these MNCs to surrender their licence and exit from a big market like India. 5. Environment finally changed when India opened up its economy in 1991 with liberalization, privatization and globalization (LPG) policy. MNCs which had exited India came back and some did so with vengeance. When Coca-Cola re-entered in 1993, it acquired all the local cola brands- Thums Up, Limca, Citra, Rim Zim, etc. which flourished in its 15 years of absence. Reportedly, Coca-Cola paid $40 million for all these brands and killed competition at one go. Today, it dominates India’s carbonated soft drink market with a 60% share. 6. Later, FDI policy was relaxed and slowly most of the sectors were allowed to have 100% foreign ownership. During the dot com burst, there were 25-30 open offers by MNCs to increase their stake (for eventual delisting) and around 50+ were in the pipeline, however, many could not be completed successfully due to subsequent recovery in stock market. The MNCs that could opportunistically delist their Indian subsidiaries included names likeReckitt Benckiser, Cadbury, Philips, Panasonic, Ray Ban, Otis, Carrier Aircon, Sandvik, Infar, Wartsila, among others – these were all dream businesses to own for public market investors, however, they were now taken private. 7. Similarly, during the global financial crisis of 2008, the stock market crashed and there was a series of open offers and delisting announcements by MNCs, though, only a few could be successfully completed because of a swift V-shaped recovery in market. In some cases, the parent entities had raised their stake from 50-60% to as high as 70-80% while hoping to eventually de-list Indian subsidiaries as and when the next opportunity arises (i.e. next bear market). 8. However, there was an additional jolt caused by a 2010 regulation which made it mandatory for listed companies to have minimum 25% public shareholding. Many companies like Fresenius Kabi Oncology, Alfa Laval, Sulzer India chose to pay up in an open offer and de-list, instead of diluting their stake down to 75%. It has clearly been a roller-coaster ride for MNCs – the listing requirements add to overheads, and also require country-specific disclosures which MNCs are not very comfortable with. Given a chance they would like to have just one firm, the parent entity, to be listed in the home market. As a matter of fact, with every bear market this sub-set of Indian listed subsidiaries of MNCs has been shrinking and in turn shrinking the investable universe for a quality focused long-term investor.